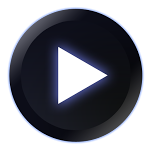 Poweramp is probably the single most popular 3rd party local music player for Android out there, and if you shelled out four bucks for the privilege of using it, you might be curious to learn about a little-advertised feature in the app: automatic EQ presets. That's to say, you can tell Poweramp which EQ preset to use based on whether you're using the phone's external speaker, a wired 3.5mm cable, or Bluetooth audio. It gets better: you can also assign an EQ setting to specific song or album. Finding these options is a bit tricky, though. 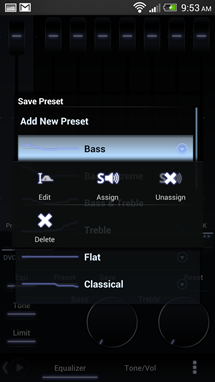 Go to the equalizer UI, and hit the "Preset" button just above the Bass knob. On the far right of each preset is a small, nearly-invisible little circle with a drop-down arrow in it. Tap the circle. You'll get get several options, tap the one that says "Assign." You'll then see the UI in first image above. Select which audio outputs you want to assign this EQ preset to. Once you've selected the outputs you want a given preset assigned to, that EQ setting will activate whenever the selected audio output is used! This is great if you alternate between a set of Bluetooth / wired headphones, or use a Bluetooth speaker regularly for music. The control goes a step further in allowing you to assign EQ presets to a particular song or album (playlists, oddly, don't seem supported). 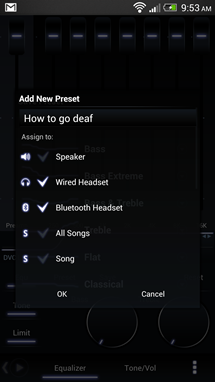 As shown in the first screenshot, the "song" checkbox will make it such that this EQ setting will activate whenever the currently playing song is played. If you go into your library of music via album view and play a song from there, the "All Songs" button shown in that first screenshot will change to "Album," allowing you to assign EQ to a particular album. Pretty neat. Granted, the way all this works is a bit confusing in terms of what checkbox cancels out what other checkbox. If, for example, you assign the Extreme Bass EQ to your favorite dubstep album, but then assign the Bass & Treble EQ to your Bluetooth speaker, what happens when you play that album on your Bluetooth speaker? 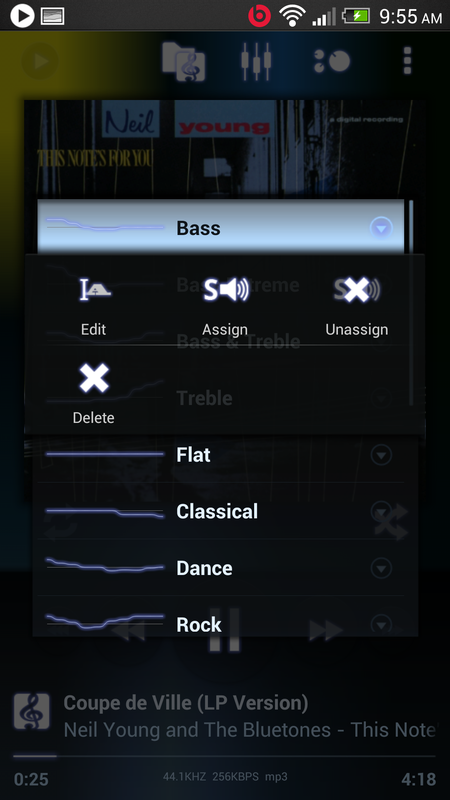 (I actually looked into this - song/album-based EQ settings will override the audio output settings). 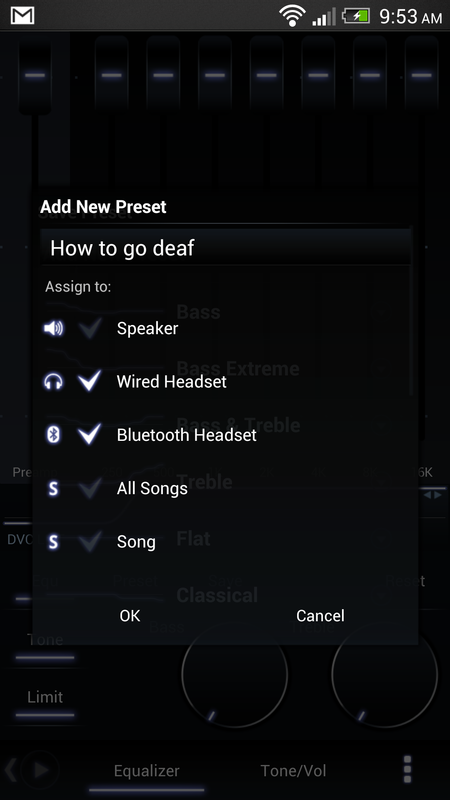 Just another one of the massive number of features you'll find in Poweramp. If you've not tried it out, give the free trial version a whirl - it's linked below.